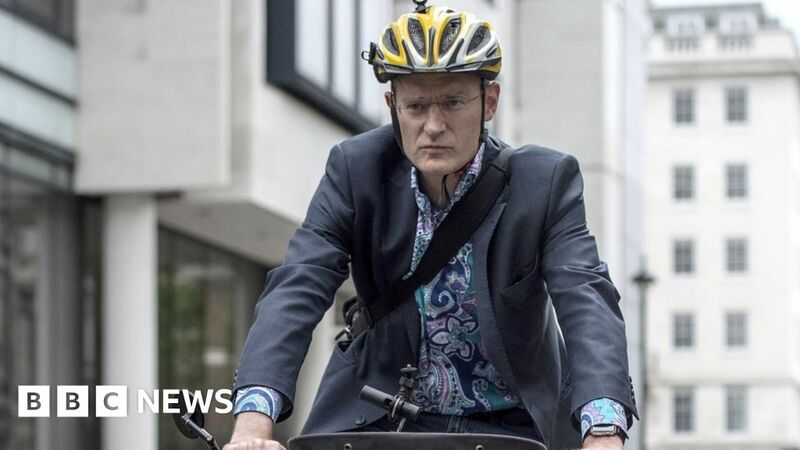 BBC Radio 2’s Drivetime show should be renamed because it celebrates “a form of transport that kills 1,700 people a year”, presenter Jeremy Vine has said. Sara Cox is set to replace co-presenters Simon Mayo and Jo Whiley as host of the show, which runs between 17:00 and 19:00 GMT, in 2019. Vine, who hosts his own Radio 2 slot, said the show needed a new name “for post-car Britain”. A BBC spokesman said the new show would actually be called “Sara Cox”. Drivetime, he added, was just a “generic term for that time of day”. In October, the BBC announced Cox would present the “brand new weekday Drivetime show”. Cox herself added she was “proud” to present “such a big show as Drivetime”. Writing on Twitter on Friday, Vine said he was sure Cox would be “brilliant” at the helm. He added, however, that “our addiction to the motor vehicle has made our cities traffic sewers; made us asthmatic, fat and angry; and made our planet suffer”. Footage of the confrontation was filmed on the presenter’s helmet camera and posted online. The driver was jailed for nine months for using threatening, abusive or insulting words or behaviour. September 29, 2018 Comments Off on Facebook Was Hacked. 3 Things You Should Do After the Breach.